Endepolsdomein 30, 6229 Maastricht, Netherlands. In the shadows of the city, on the banks of the green hills, Apart Hotel Randwyck is ideally situated. Free wireless internet and easy parking for all guests. Apart Hotel Randwyck is a modern 4-star hotel with 65 spacious rooms found in the suburbs of Maastricht, opposite to the MECC exhibition and congress centre in Maastricht-Randwyck. Apart Hotel Randwyck is situated at the edge of the 'Heuvelland' and all public transportion is conveniently accessible within walking distance. You can reach the historic city centre within 3 train minutes. Free parkingfacilities, Parking fee required (6.50 €). Near exhibion centre, Near trainstation, Near to the university, Museum Area, Near highway, Near the historic centre. Less than 3 days and more than 1 day(s) before arrival: 1 night will be charged. 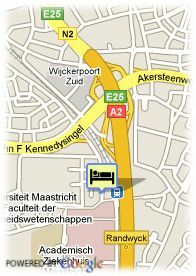 For older children and adults 12.50 € for each additional bed is charged. We surpirse our guests with a totally renovated lobby, lounge, hotelbar and breakfast room. here you can have a delicious breakfast, have a espresso with cake, or drink a glass of wine with a little snack. The hotel is 100% non-smoking. 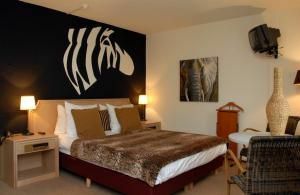 Apart Hotel Randwyck is situated at the edge of the 'Heuvelland'. and all public transport is conveniently within walking distance. You can reach the city centre within 3 train minutes.